Simple to do with the Matcha DNA Milk Frother that we've been using. Easy to Operate and Clean. 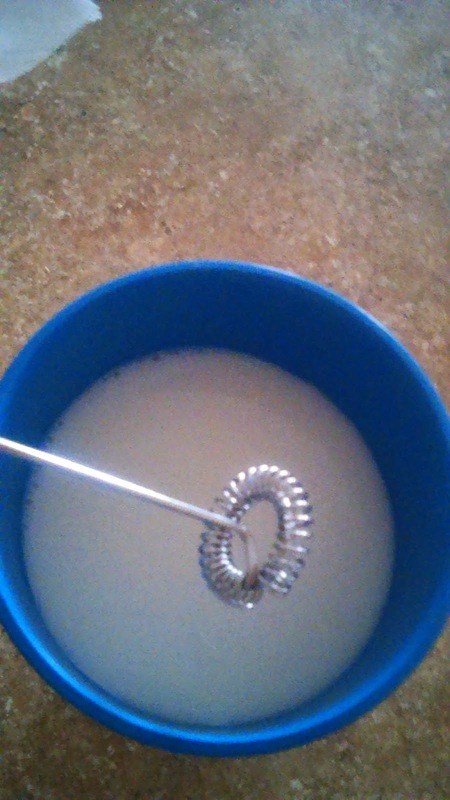 o Operate the mixer - Insert frother whisk in a glass of hot or cold milk filled to 1/4 - Hold the frother at a slight angle - Turn on and move up and down - Turn off and enjoy a rich and smooth foam. To clean, use in warm soapy water and rinse. When this first arrived at my house, I looked at it and honestly thought it looked like a toy. 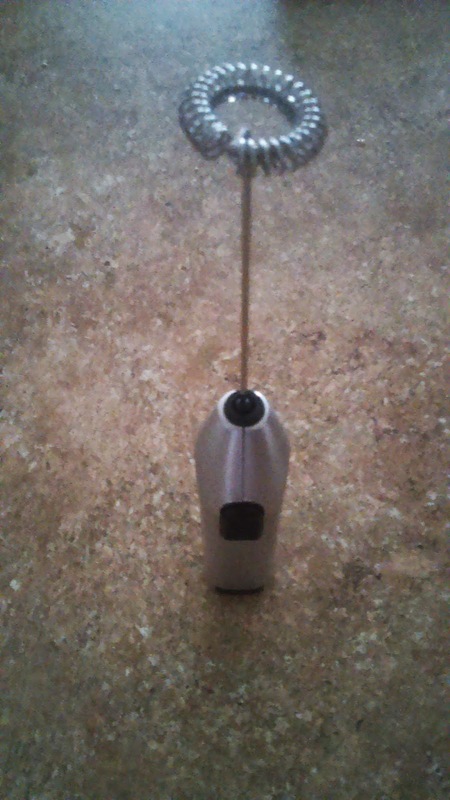 I have never used my own milk frother before, have only bought frothy drinks in the past. I had some batteries that were the right size, so I popped them in and my son handed over his glass of milk. 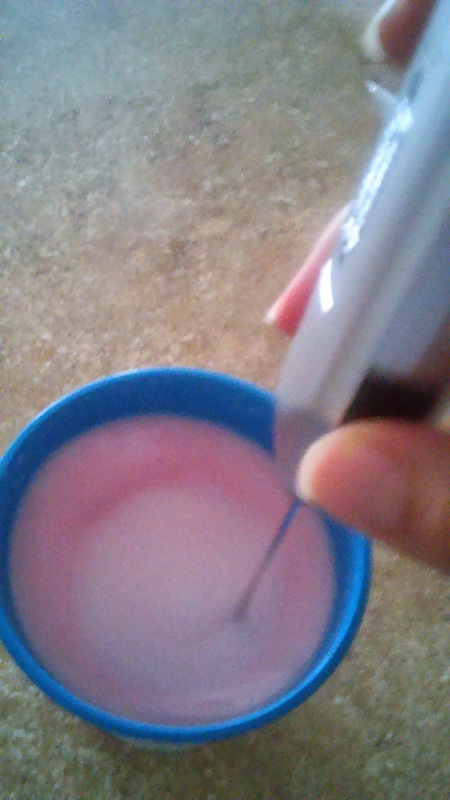 He wanted strawberry milk so I thought this would be a great opportunity to try this fun looking device a try. 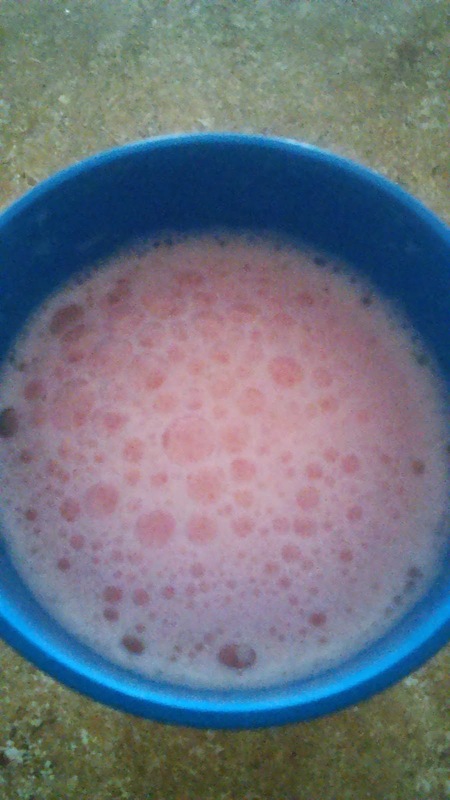 I squeezed some strawberry syrup in the glass and then put the milk frother in. I turned it on and it went to work. It made his milk nice and bubbly and frothy. He loved it. In fact he loved it so much that he wanted to try it himself. This wasn't the best idea because when he did it himself, he lifted the frother up while it was frothing away and milk splattered all over the counter. Not too much, thankfully, because he quickly shut it off. Anyway, overall, I think this is a very cool device, just be careful not to do as my son did. I gave him a break since he's only six. Haha. I think this would be great for all kinds of frothy creations. All kinds of milks, shakes, coffees, frappucinos, and maybe even floats. This Matcha DNA Milk Frother is available for purchase on Amazon.